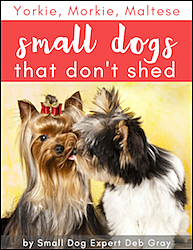 Dogs that don’t shed – fact or fiction? 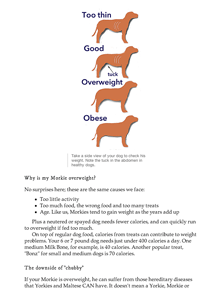 Can Morkies eat people food? 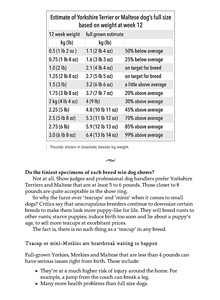 Tips, helpful advice and important info about the adorable Yorkie-Maltese blend, put together from popular blogs at this site. Clear, easy-to-understand style. You’ll enjoy this collection of 50 of the most-visited blog posts from this site. 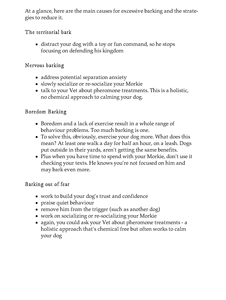 Topics range from Morkie care, grooming, feeding and behaviour, to training, travelling and more. 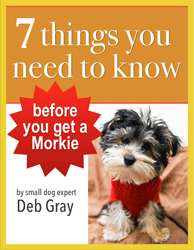 Valuable Morkie information you need to raise a happy, healthy dog. 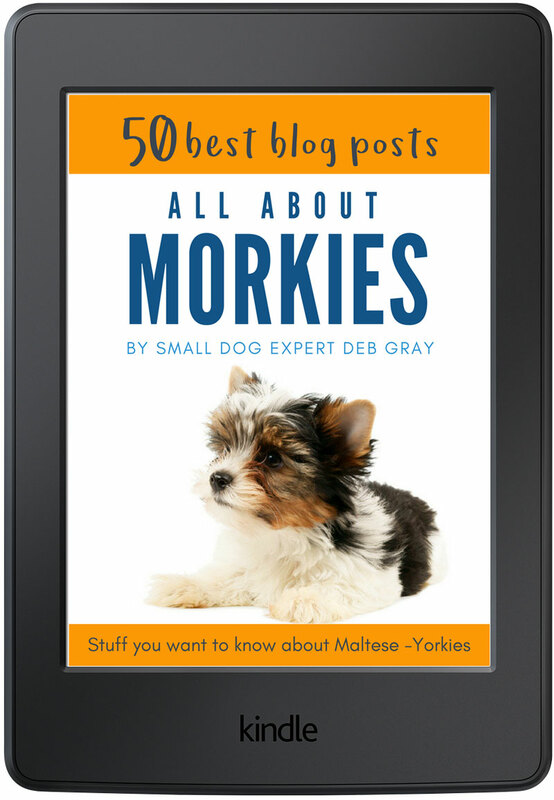 The best Morkie blog out there - now gathered in a single book! Publisher: Letter 27 Business Communications Ltd. 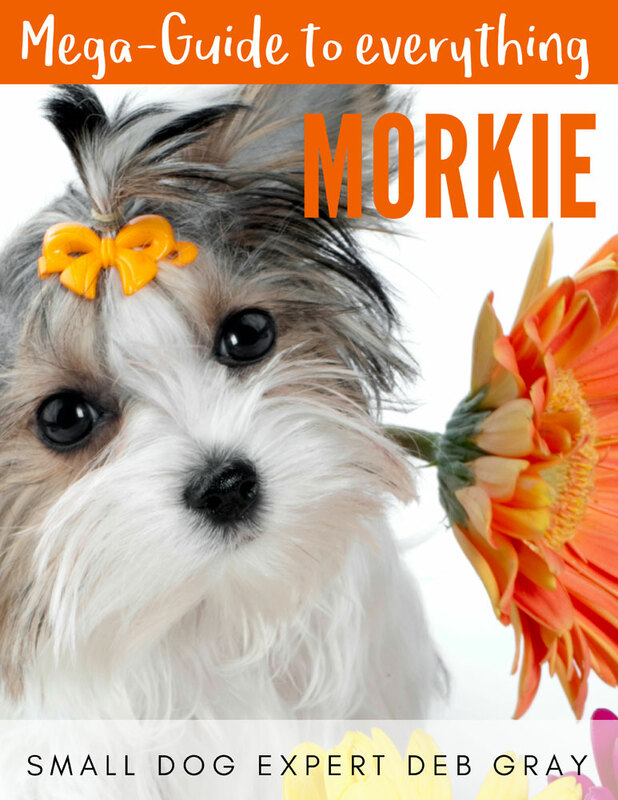 This is a quick read with insightful information on the Morkie. 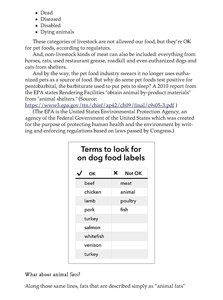 I especially liked the guidance provided on dog food, outlining the extent of issues with some commercial options (shudder). 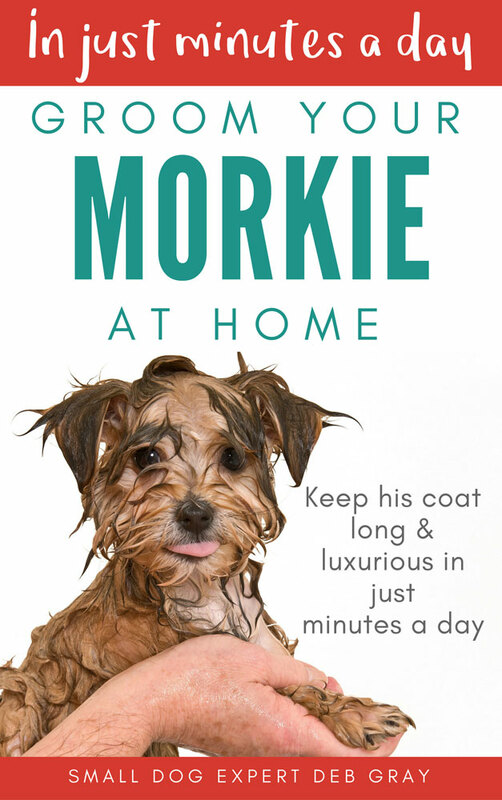 Would highly recommend to anyone considering adopting a morkie, or those who already have a morkie in their family (as I learned a thing or two). 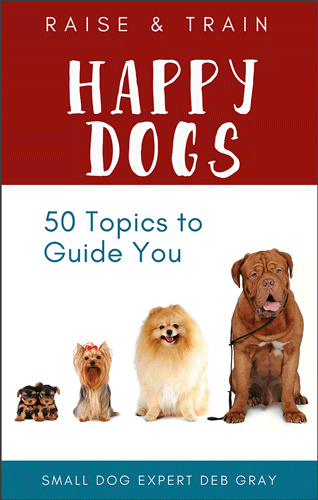 This book is FULL of helpful and fun information on how to care for your small dog (and a lot of it is great info for any dog owner, too). It takes what could be a really overwhelming topic and narrows it down into the most important points; the author even includes links and sources for you to do more research on your own if you’d like. 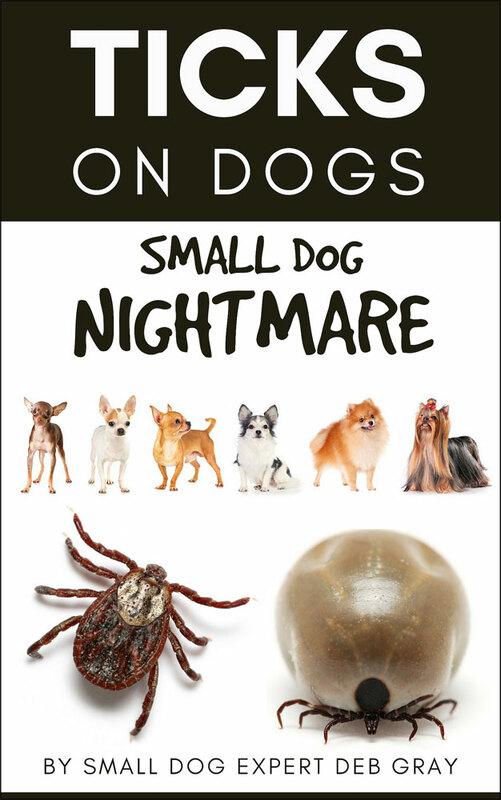 I’d highly recommend this for anyone who has a dog or is thinking about getting one! 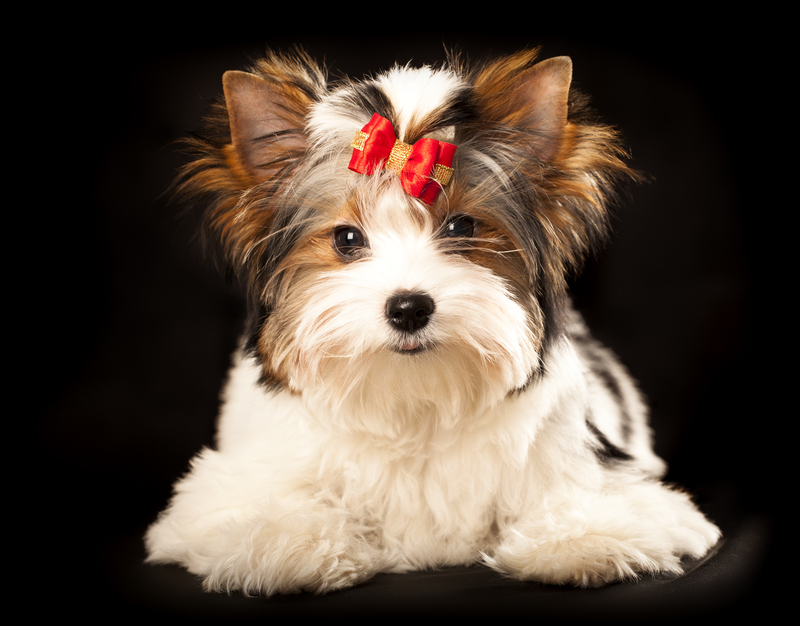 I will soon be the proud owner of a Morkie. This book was so helpful. I learned about the special needs of this breed. 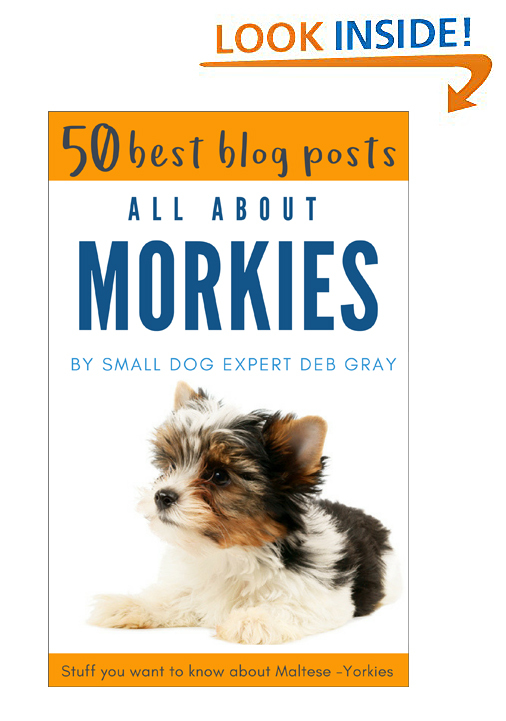 I would recommend this book to anyone who wants to take very good care of their Morkie. I will use this as a reference for a long time. I didn’t find what age to have her neutered or chipped. 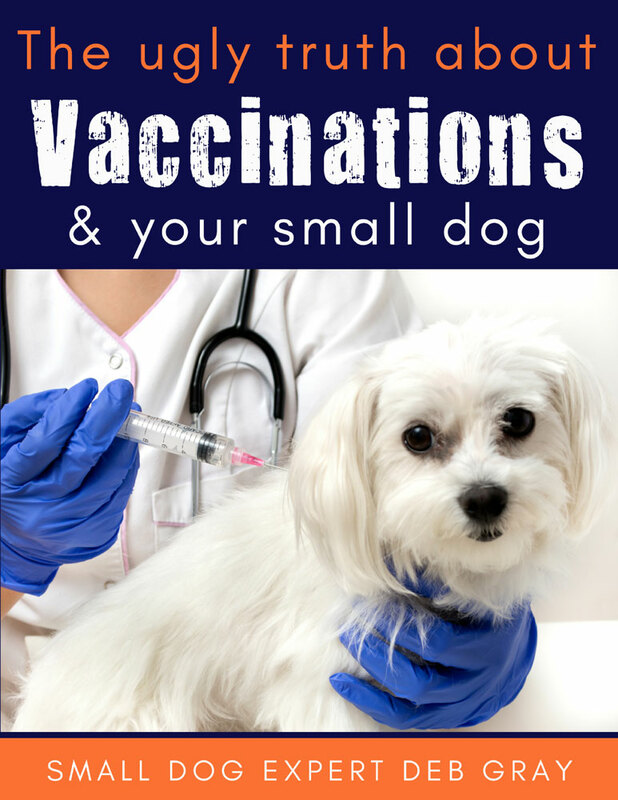 Book covers wide variety of subjects and has great information on food and immunizations. I learned a lot more than I anticipated.